Use a heat resistant dish such as one made from metal or ceramic, preferable 5 inches or larger in diameter and at least 2" deep. 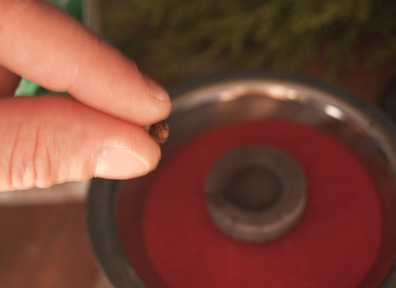 Fill about 1 inch from bottom of dish with sand or ash. 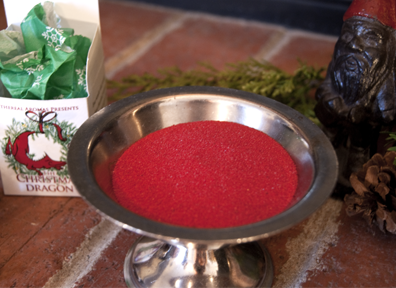 Colored sand is also available for ritual and artistic use. 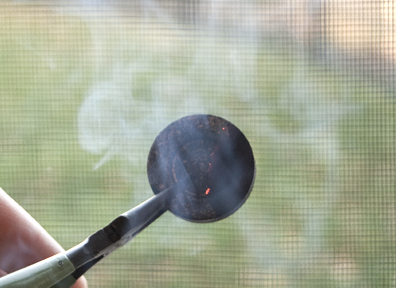 Light a combustible hookah-style charcoal by holding a flame to the charcoal. Always use tongs or pliers to hold the coal when lighting. 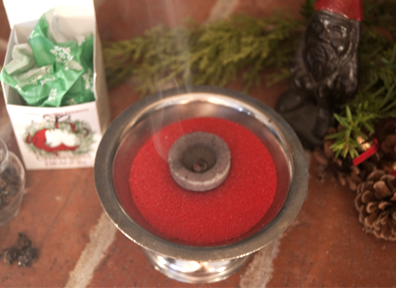 It is best to light the coal outside or holding under a stove-top vent. 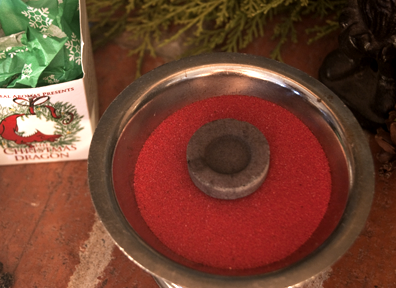 Once hot, place charcoal in prepared dish. 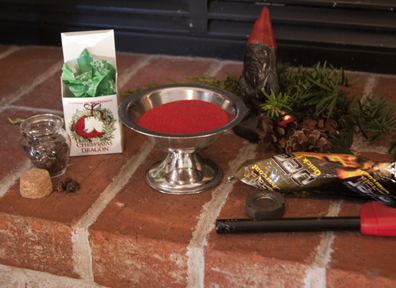 For burning natural coconut charcoal without combustible material, place the coal directly onto a metal coil stove top and heat charcoal until red-hot. 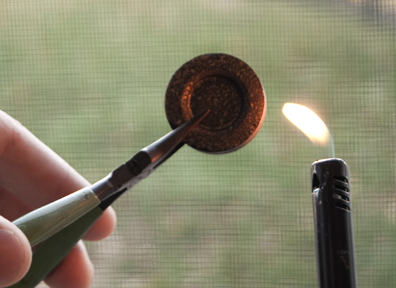 We have been told that it is also possible to light this style charcoal with a butane torch. perfect for use outdoors or in large halls, but are generally impracticable for use in most homes. Always maintain good ventilation when producing smoke of any kind in doors. Always be cautious when using hot charcoal and keep out of the reach of children & pets! 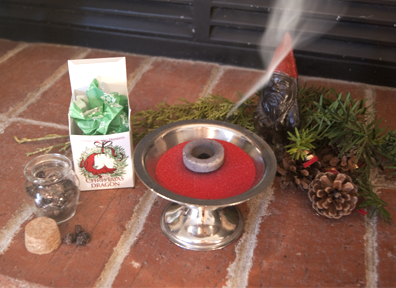 For those who wish to use natural resin for their aroma-therapeutic qualities and to not produce smoke, we recommend using a small cast iron skillet about 3 and a half inches in diameter, give of take. Cover the inside of the skillet with foil and place onto stove top on warm to low heat. Preferably sprinkle ground resin into pan. Heat larger chuck of resin may require more heat. Other primitive methods may also be used with little effort. No material herein may be reproduced without expressed permission.